The only constant is change: This statement seems to be truer than ever in today’s business world. However, the success of a planned change initiative depends more on understanding the factors that need to be preserved in order to succeed than understanding the ones that have to change. We lead your organization and its people to discover which components are so vital to the success of your business that they need to be kept alive in the changed circumstances. On the basis of this analysis, we design a change initiative that translates your vital success factors and values into the desired new behavior, procedures and strategy. The members of your organization develop new behavior based on proven success factors, so your organization can move forward in a consistent and vibrant way. 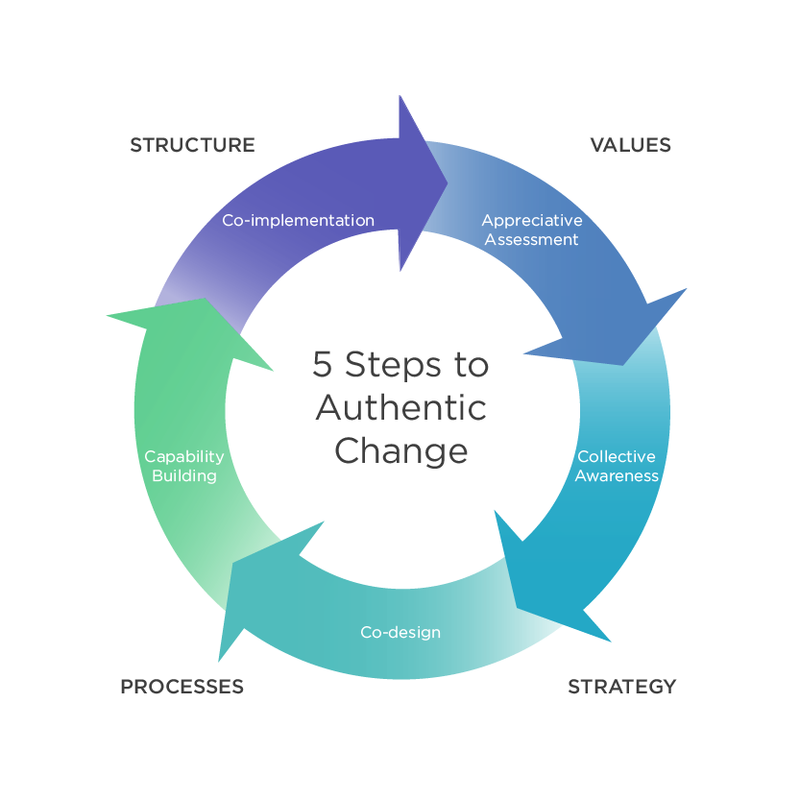 To initiate authentic and sustainable change, it is important to thoroughly understand the organization: What is the overall strategy? Which processes are already in place? What makes the organization effective? What limits its effectiveness? What are the organization’s underlying cultural values, beliefs and truths? Without involvement, there is no learning and without learning there is no change. Therefore, learning how the members of your organization perceive and implement internal organizational practices is crucial. Dialoguing around these processes sparks true engagement and paves the way for authentic growth. The more eyes you have looking at suitable solutions for your organization the better. Working on solutions together increases motivation and engagement and strengthens the overall impact of the change process. The solutions that you create yourself will be the most sustainable in the long run. A changed situation may require new skills. Allow the people in your organization to rise to the occasion and to develop the necessary skills along the way. Use coaching and personnel development programs to help build that capacity. From there the implementation of your jointly-found solutions will just get easier and easier. 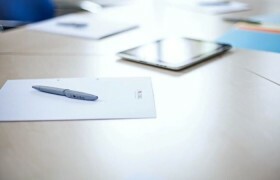 We monitor your co-designed change processes. In which areas are you on track? Where do you need adjustments? After you have implemented the most important changes, the fine-tuning begins. This is when you get to evaluate and celebrate your achievements of having created something unique. Erika is the founder and President of LC GLOBAL®. Leading people and organizations through change is her passion. 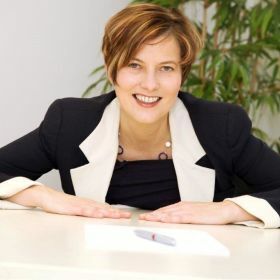 With many years of experience in organizational psychology and change, she has consulted to innumerable domestic and international organizations, among them a number of Fortune 100. Contact Erika to discuss your organization’s needs. She will help you develop the right strategy for your company. LC GLOBAL DID AN EXCELLENT JOB IN WORKING WITH COCHISE COLLEGE IN REGARDS TO THE FACILITATION OF A CHANGE MANAGEMENT PROCESS. WE BENEFITED IMMENSELY FROM LC GLOBAL'S APPRECIATIVE, COLLABORATIVE AND SYSTEMIC APPROACH. FOUR AREAS OF IMPROVEMENT WERE IDENTIFIED, FOCUS GROUPS WERE FORMED AND CHANGE AGENTS APPOINTED TO NOT ONLY MAKE THE CHANGE, BUT BE THE CHANGE. MANY STAFF MEMBERS REMARKED IT WAS ONE OF THEIR BEST EXPERIENCES AS AN EMPLOYEE OF THE COLLEGE. MANY STUDENTS FELT A STRONGER SENSE OF BEING VALUED AND CONNECTED AS A RESULT OF THE INTERVENTION. WHEN ELSTER WAS IN THE PROCESS OF BEING NOTED ON THE NEW YORK STOCK EXCHANGE, WE WORKED WITH LC GLOBAL TO LEAD OUR GLOBAL FINANCE MANAGEMENT TEAM THROUGH AN IMPORTANT CHANGE PROCESS. 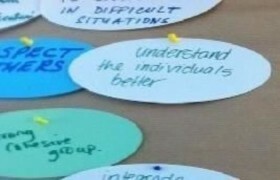 THE TEAM SESSIONS WERE EXTREMELY HELPFUL AND BOOSTED OUR MORALE AND COLLABORATION SIGNIFICANTLY. 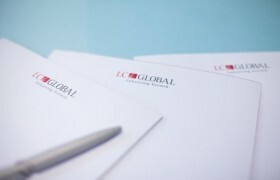 NOT ONLY CAN I RECOMMEND LC GLOBAL, I CAN HONESTLY SAY THAT I TRULY ENJOYED THE PROCESS. I HAVE BEEN WORKING WITH LC GLOBAL FOR EXECUTIVE COACHING INITIATIVES AND ORGANIZATION DEVELOPMENT MATTERS FOR ALMOST A YEAR. WHAT STARTED AS A PARTNERSHIP FOR DEVELOPING NEW STRATEGIES AND IDEAS HAS EVOLVED TO INCLUDE A DISCUSSION OF HOW TO MELD THE GROWTH OF A NEWLY FORMED NON-PROFIT FOUNDATION WITH OUR SOCIETY'S CURRENT ACTIVITIES. LC GLOBAL'S PROCESS HIGHLIGHTS OUR CORE ORGANIZATIONAL VALUES AND ENSURES THAT WE MEET OUR OVERALL AMBITIOUS GOALS.